Magtech 9mm / 124gr Luger Guardian Gold Jacketed Hollow Point (JHP) +P Overpressure Ammunition - Box of 20 Rounds - Self Defense Military Law Enforcement Competition Match Grade | BUDK.com - Knives & Swords At The Lowest Prices! 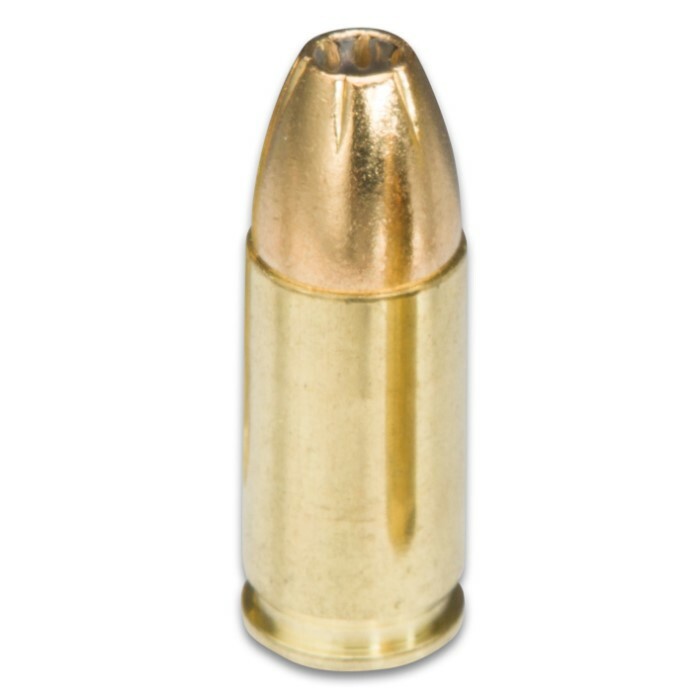 Magtech ammunition offers professional quality at an economy price, and this convenient box of 20 9mm Luger jacketed hollow point +P rounds is a prime example. Countless law enforcement agencies, militaries and competition shooters around the world rely solely on Magtech ammo for their high performance, high precision shooting needs. And it's easy to see why when you experience the difference Magtech rounds make in your own shooting performance. Cutting edge engineering, state-of-the-art manufacturing and only the finest grade materials ensure reliable accuracy, dependable performance and all the other traits serious shooters demand in a quality round. So why pay more for an inferior bullet? Shoot like a pro but spend like an amateur with this box of 20 Magtech 9mm Luger JHP 124gr Overpressure (+P) rounds. 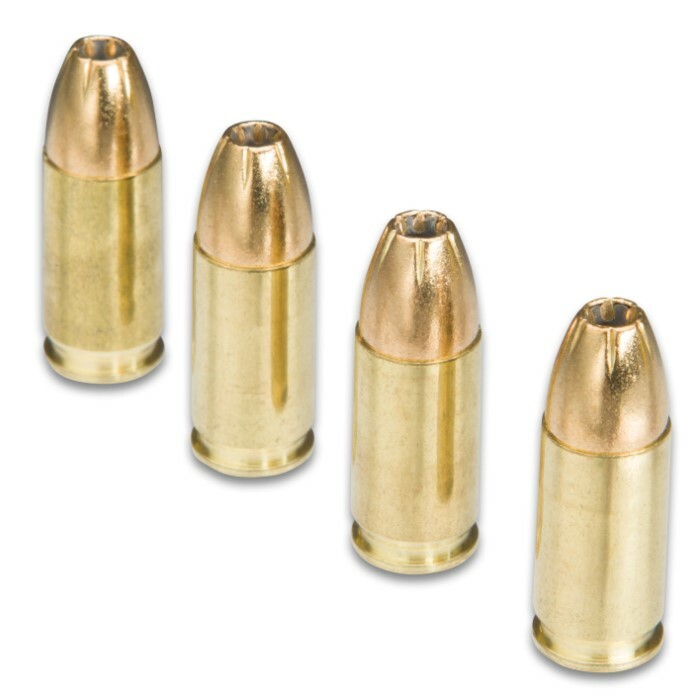 CAUTION: These +P rounds are loaded to greater internal pressures than are standard for ammunition of this caliber. Use only in approved firearms. 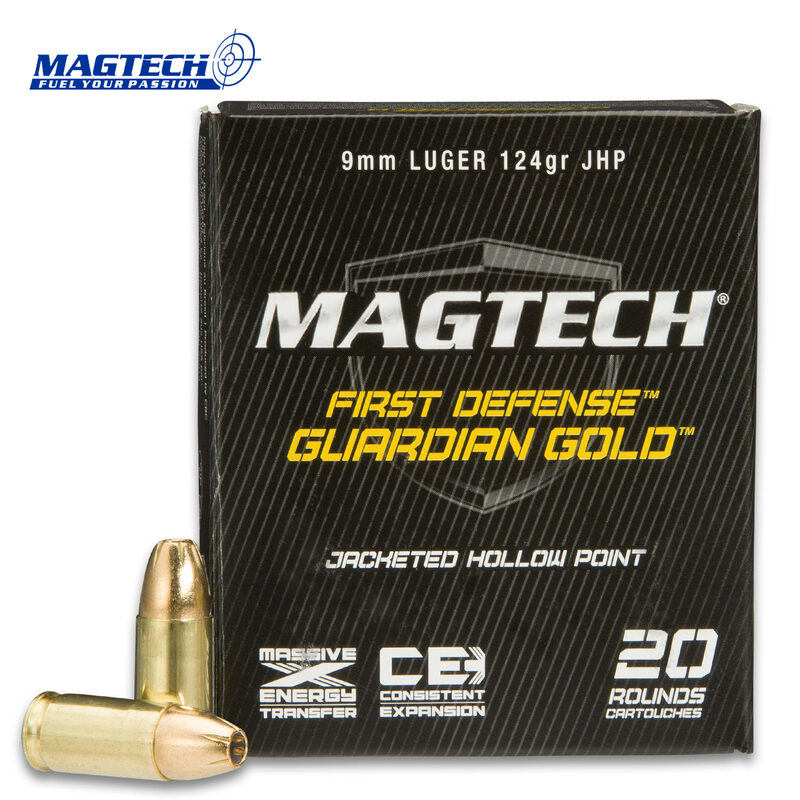 A "Primer" on Magtech's Advanced Guardian Gold Jacketed Hollow Point Rounds Magtech's ballistics experts designed "Guardian Gold" jacketed hollow point projectiles to deliver consistent, overwhelmingly potent expansion - shot after devastating shot. An ideal fusion of dead-on accuracy, rapid expansion and brutal penetration power, Guardian Gold represents the ultimate personal protection round. Strict loading tolerances afford consistent velocity, dead-on accuracy and smooth, dependable feeding in auto-load handguns. The brass cases are manufactured to exacting dimensional tolerances and hardness and are corrosion resistant and reloadable. Clean burning propellants are matched to each load to deliver optimum velocity, while also ensuring consistent chamber pressures and down range accuracy. Magtech produces its non-corrosive primers with a unique sensitive priming mixture to ensure uniform and reliable powder ignition. Loaded to higher-than-normal internal pressures, these punishing 9mm Luger +P JHPs boast unparalleled stopping power. Rest assured, one shot will bring even the most determined attacker to his knees.